I'm starting to use 3D software to design my models. This one unfolded neatly and I could set it up for texturing if I wanted. But I have a feeling that I'm going to play with my new tools some more before I pick a project to complete. What software are you using to unfold it? I started using Sketchup just before my computer died and didn't get too far. I'm unfolding in Pepakura. I'm breaking down most of the parts into sections Pepakura can handle and ultimately everything goes into Photoshop for refining. I've logged about 30 hours of SketchUp and you can see where I'm at. I find it very easy and intuitive, compared to the other programs I've attempted to use (Blender, 3D Studio Max). Just wondering. 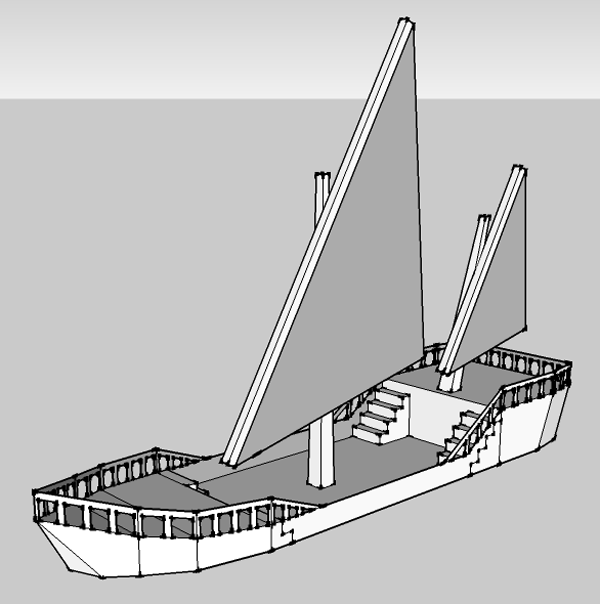 Is the plan to model in SketchUp, unfold in Pepakura, then texture in something else? 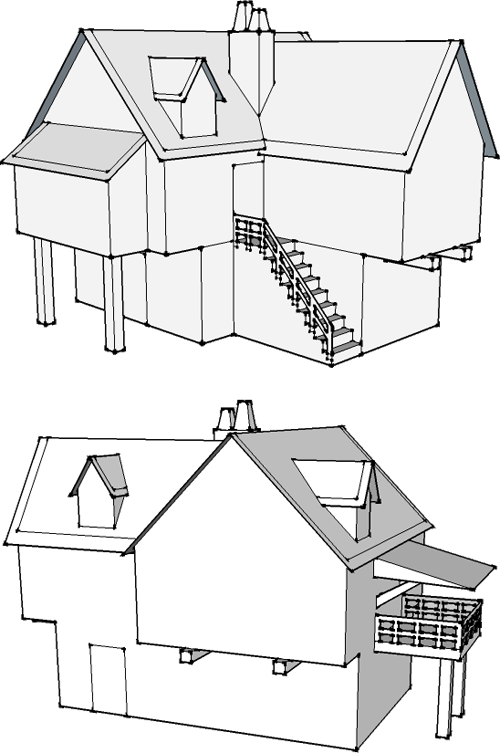 And just to be sure, SketchUp and Pepakura are pretty easy to use, but there's a lot of planning, fine-tuning and manual correction involved in using them to make a paper model. This probably seems easier for me because I've been doing this exact thing (3D modeling) the hard way (in 2D!) up until now. I really look forward to see where you are going to go with this new tool available to you, as I can see boat loads of potential with it in your hands. This probably seems easier for me because I've been doing this exact thing (3D modeling) the hard way (in 2D!) up until now. I have been doing the same thing too. Triangle and basic geometry formulas. I found SketchUp the easiest and most intuitive 3D program I have tried. 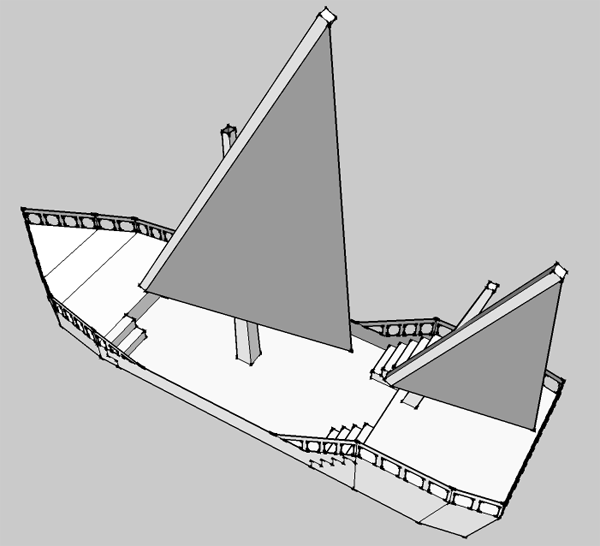 I need to find out how to make and unfold regular cones and truncated cones with SketchUp next. 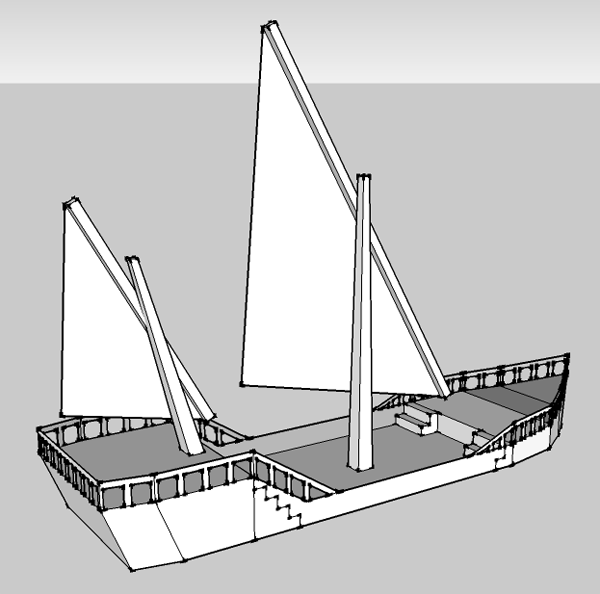 How much of a learning curve does SketchUp have? I've considered messing with it but I don't know a ton about 3D design and scaling, so its kinda kept me from really messing with it. Is SketchUp a good place to start? You'll have the basics down in like one hour. It's really easy to make basic shapes. I'd recommend dedicating a whole weekend to testing out the different tools, and daily use for another couple of weeks to really get in command of it. Thanks for the info. Over all it doesn't sound like too steep of a learning curve. I think I may just have to do that at first and give it a try, Lol!